You may have heard the term “portfolio GP” more frequently over the last few years. This is an umbrella term used to describe any GP that has multiple jobs or that does multiple types of work within their working week. Most portfolio GPs have a primary job – this could be as a GP partner, a part time salaried position or being a locum (freelance) GP, with one or more additional jobs in their portfolio. Many GPs develop a portfolio over time almost by accident – what starts as a one off extra session working in a prison for example can become an interesting part of the regular working week. In this article, I will discuss some of these options in a bit more detail. There are various ways to become involved in medical education, from the occasional teaching and supervision of medical students on placement at the practice to becoming a GP trainer or Training Programme Director. Teaching can be very rewarding, as well as acting as a stimulus to refresh your own knowledge and to keep up to date. Most medical schools require doctors that will be teaching students on placement to attend a short training course (often over 1 or 2 days), and then to attend annual training days. Beyond this, you will not need to have any formal medical education qualifications. For teaching Foundation trainees, most deaneries require a similar amount of training. 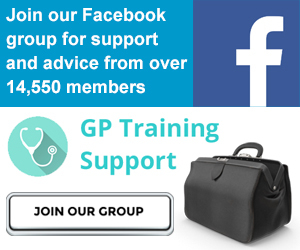 Many medical schools recruit qualified GPs to become clinical tutors to facilitate small group teaching, or teach clinical and communication skills for undergraduates at the medical school. Having experience in teaching will make you a more attractive candidate, and medical schools often offer further in house training as well as support to complete a postgraduate certificate or diploma in medical education. Time requirements are usually 1-2 sessions a week. Training in teaching – either a trainers’ course or a postgraduate certificate or diploma in medical education. Experience – the minimum post CCT experience varies from 2 years to 5 years. There are also requirements that need to be met in relation to the training practice. A trainer would usually need to put aside the equivalent of 2 sessions a week to allow time for supervision, tutorials and ongoing workshops for trainers. Programme Directors (formerly known as VTS Course Organisers) have responsibility for organising the regular teaching for Speciality Training schemes, as well as supporting trainers. Programme Directors are usually appointed via deaneries, and again requirements vary across the county, although most require experience of teaching and a formal postgraduate qualification in medical education at diploma or Masters level. Many Programme Directors are experienced trainers. The time commitment required is usually equivalent to 2 sessions a week or more. In many areas with larger training schemes, there are multiple Programme Directors for the same area. Working as a GP in secure environments may seem daunting, however it can have many benefits. There is currently a huge shortage of GPs in the prison service, so the rates paid are usually very good. The work includes GP style clinics and ward rounds for inmates – you will usually be well supported with an experienced nursing team, and guards are nearby (they can be in the room on request in some cases). As well as acute illness and ongoing management of chronic disease, there is a high proportion of patients with mental health issues and drug misuse problems. Undertaking the RCGP Drug Misuse certificate can be useful to give you more confidence in dealing with this aspect of the work. If you are not sure if this is for you, contact your local prison and talk to the lead clinician – in most cases they will be happy to show you around the unit and offer some induction and training. There is also usually some need for on call cover, although this varies at different units. Forensic Medical Examiners (formerly Police Surgeons) work with police forces to provide assessment and treatment to victims of crime and persons in custody. Many FMEs are GPs that work with the police as an additional role. The work can be interesting and varied, and will include assessment and treatment of injuries, minor illness, sudden illness in custody, and assessment of victims of sexual assault. Most FMEs work as part of a group of doctors that provide cover for one or more police stations day and night. A lot of the time you may be able to be on call from home, with extra fees payable for each visit to the station. Another aspect of the work of the FME involves giving evidence in court. A GPSI is a GP that has gained additional skills allowing them to offer services that have traditionally been offered in secondary care. Popular examples include ENT, minor surgery, dermatology, sexual health and musculoskeletal medicine, but there are dozens more possibilities. Usually, there is a process of accreditation that will require relevant additional qualifications and experience and then getting signed off by a consultant to state that the practitioner is capable of independent practice. Once accredited, a practice may be able to bid for work from a CCG that will allow them to accept referrals from other practices within the area. Having a special interest can make you more attractive to a practice, and a practice offering a successful GPSI service can bring in valuable extra income. There are many possible special interests, and so we will look at this in more detail in a separate article. There have been many companies offering remote access to GP consultations through an app or video calling service. Some of the more well-known ones include Babylon, Doctor Care Anywhere, and Pushdoctor. Pay rates tend to be lower than regular locum work, and due to the medicolegal risk, your indemnity rates may increase (some companies contribute towards this or cover it for you), however the work is flexible, and could be carried out anywhere private with a good internet connection (either through a laptop / desktop, tablet or sometimes even a phone). There is also no time lost commuting, and there is the flexibility of working at a time and place that is convenient to you. Primary care organisations (e.g. CCG, health board, local health board) often have opportunities for GPs to be involved in clinical lead or management roles at various levels. This may be an opportunity to develop your leadership and management skill further in a different role, or to use expertise in a specific clinical area of interest to help develop services for your local area. It can also allow you to work with doctors from different practices or to collaborate with public health colleagues. We all need to keep up to date with CPD and undergo annual appraisal as part of revalidation. You may consider becoming an appraiser to see this process from a different perspective. Most areas recruit new appraisers periodically. It can be interesting to meet GP colleagues from different practices and doing different roles. The actual appraisal usually lasts a few hours, but you will need to allow time to look through the evidence of CPD and other materials before the meeting. There is also a requirement for appraisers to attend updates and ongoing training when changes are made to the requirements for appraisal. Typically, the payment for each completed appraisal is around £500. These are just a few examples of some of the options you might build into your career as a portfolio GP. I know of GPs that work as civilian medical practitioners on military bases, work as team doctors for sporting clubs, are involved with the air ambulance or emergency services and some that do regular humanitarian work. One of the great things about being a portfolio GP is that working in different roles can help keep you stimulated and reduce the chances of burnout. I find that for me, it really is true that “a change is as good as a rest”! Have you done any of these or other roles as part of your portfolio? Always love meeting other portfolio GPs and finding out more – please do leave a comment or connect! Dr Mahibur Rahman is a portfolio GP and the medical director of Emedica. He is the author of “GP Jobs – A Guide to Career Options in General Practice”. He will be teaching at the Life after CCT: GP Survival Skills course which includes a session with practical advice about developing a portfolio career as a GP.